Welcome to the home of Helen Allen. 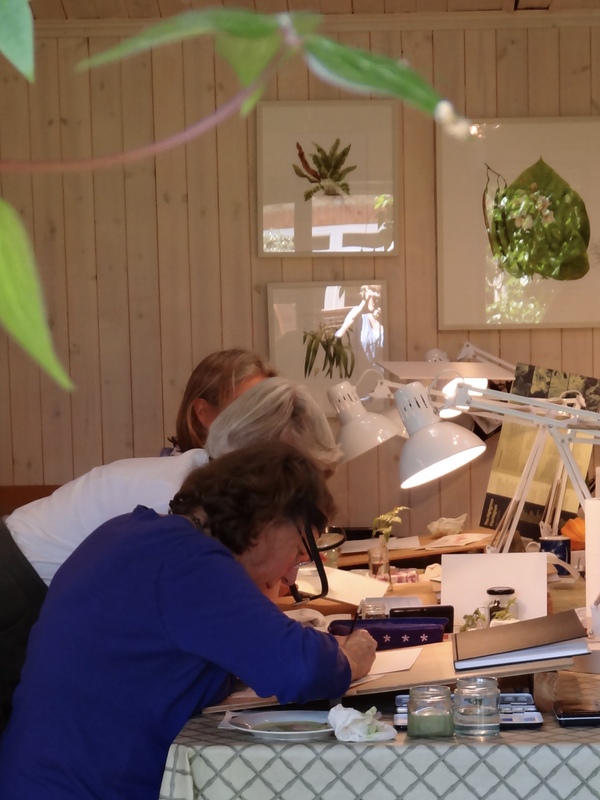 With an eye for detail, fascination for pattern and a great love of plants, Helen delights in sharing her experience through painting and teaching. Situated in Ham, one of London’s loveliest areas and close to Richmond Park, Helen’s studio offers space for eight painters. The GreenHouse is well equipped and has a comprehensive library of reference books. Helen also stocks painting materials for sale. Students mainly work on their own projects working step by step and concentrating on perfecting techniques during the process. Beginners are welcome and learn through carefully constructed exercises, which are then applied in small projects to botanical specimens. Basic botany is also covered. For the proficient painter there are some more advanced workshops several times a year. See the current term’s timetable for subjects, dates and fees. Classes are limited to eight students and one-to-one tuition is available and tailor-made to your requirements. Small groups are also welcome on at other times. Please contact me for details.